Buyer's Guide to Warehouse Freezer Labels | ID Label Inc.
Finding effective labeling solutions for warehouse freezer locations can be a real challenge. There are numerous environmental factors that affect performance, from the installation conditions and service temperature to the adhesives and materials used to manufacture the barcode labels. Standard do-it-yourself labels are not likely to perform reliably. Conventional adhesives will harden in the frigid environment and the labels are likely to peel and fall from their rack beams in short order. The condition of the surfaces to which the labels will be applied and the temperature at the time of installation are also critical factors. 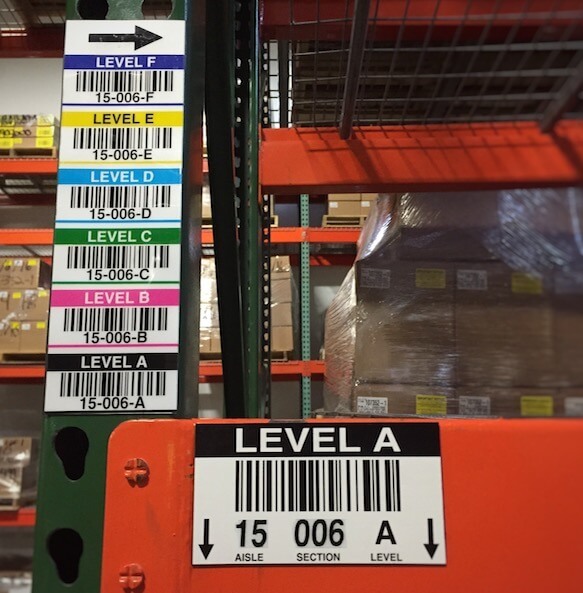 Finding effective labeling solutions for warehouse freezer locations can be a real challenge. There are numerous environmental factors that affect performance and must be considered. 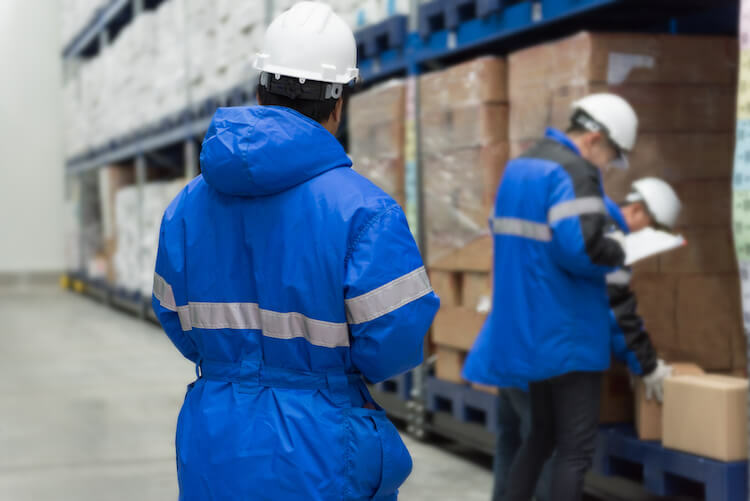 In this blog post, we look at some of the key factors warehouse operators should consider. And we provide a convenient product grid that highlights proven combinations of materials, adhesives and performance attributes. 1. What is the service temperature of the freezer area? Understanding the operating temperature is an obvious but important item to address with your label manufacturer. 2. At what temperature will the labels be applied? On what surface type? Another important item of consideration on the buyer’s checklist is understanding the application (i.e., installation) conditions. 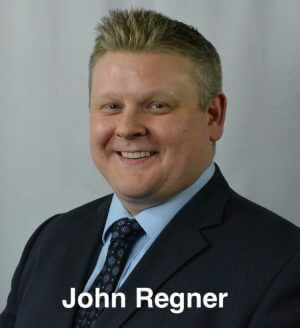 “If the facility is new and the freezer area temperature has not yet been drawn down, the range of adhesive options is fairly wide,“ Regner said. “If, on the other hand, you’re labeling or relabeling a live facility at sub-zero temperatures, you’ll want to make sure the label adhesive is rated for application under those conditions. “Magnet-backed labels are a very reliable choice for this scenario,” he added. Another important factor is the surface on which the labels will be applied. Many adhesives will bond well with painted metal, powder coatings, plastics and other surfaces. For upright racks with “teardrop” holes, magnetic labels are highly recommended. For maximum adhesive bond strength, surfaces should be clean and dry, free of moisture and frost. 3. Is your facility a controlled environment? 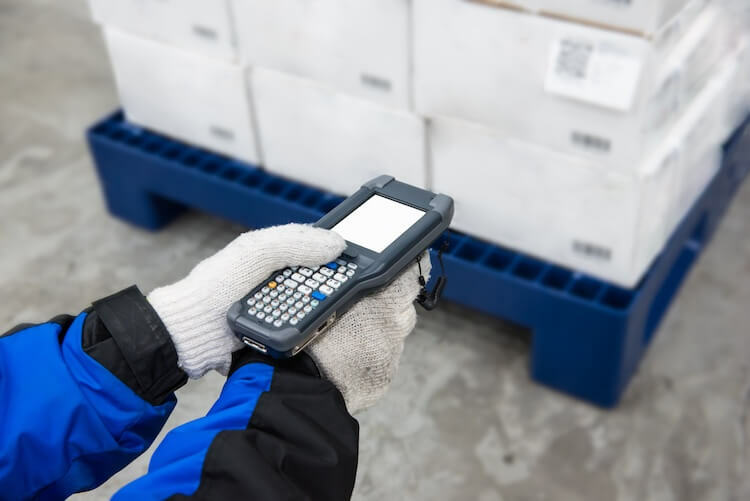 The quality of warehouse barcode labels is especially important in today’s cold and freezer logistics environment. Moisture and frost build-up will affect warehouse freezer location label performance. Facilities in humid environments without any air conditioning outside of the freezer area are particularly susceptible. A poorly controlled environment can affect magnet labels, too. Frost can build up between the magnet and beam, making it more likely that the label can fall or be knocked to the ground – potentially cracking on impact. With workers who are probably wearing bulky gloves, being forced to manually enter data due to failed scans is particularly inconvenient and time consuming. Not only is this a drain on productivity, there is greater opportunity for costly mistakes due to human error. 4. Should you opt for a magnet or adhesive-backed location label? Labels constructed with pressure-sensitive film and freezer-grade adhesives – with a protective laminate coating – perform quite well. Magnet-backed labels are always a popular choice for warehouse freezer locations. Magnetic rack labels are typically more costly than adhesive labels, but they offer high return on investment. Magnet labels are durable, scan reliably and are easy to install and move—especially in live facilities where the temperature has been drawn down. Finding the most effective labeling option for your freezer storage needs can be a challenge. Download our free buyer’s guide to learn more. We include a convenient grid comparing a variety of label material options and performance factors. To learn more about your warehouse freezer barcode label choices and to request samples for testing in your environment, contact ID Label today.